"This is a classic Italian pasta dish. Use fresh basil when it's in season; at other times, use fresh flat-leaf parsley." 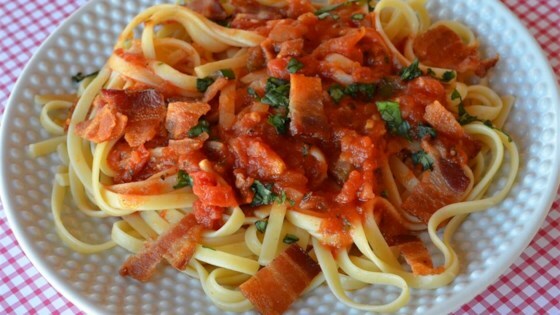 This classic spicy Italian tomato sauce stars bacon and fresh basil. This was pretty good and very easy. would add a little more bacon.